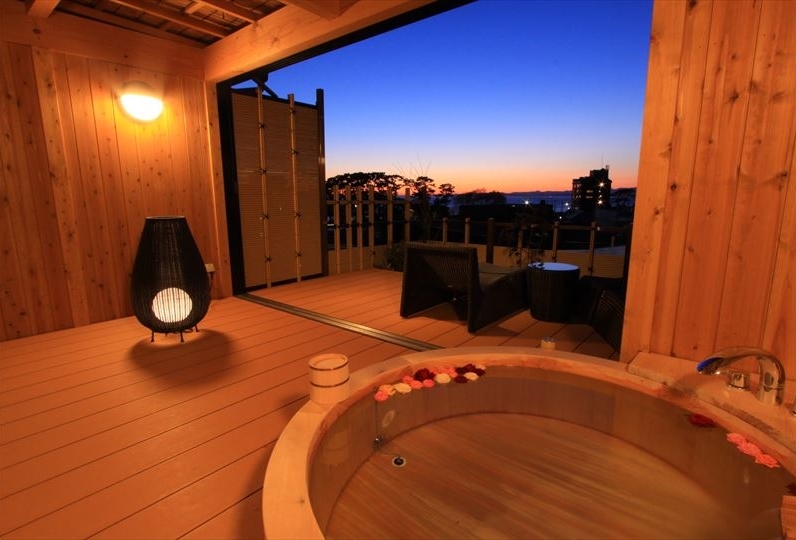 We are looking forward to seeing you with our exclusive rooms, onsen, meals and hospitality, so that you will be able to spend an amaWaykzing day with your lover at "Ryokan Toikan". In the authentic rooms "Bokusui" "Iori" "Zen" "Kei", you will be able to feel some comfort and mysteriousness in the gorgeousness of the room. Also, there is a "Bokusui Gallery" with posthumous works of Bokusui Wakayama. Please enjoy your time while feeling the essences of his trip. The onsen water here is good for your health and your skin. Please enjoy bathing in the 8 different bathtubs available. 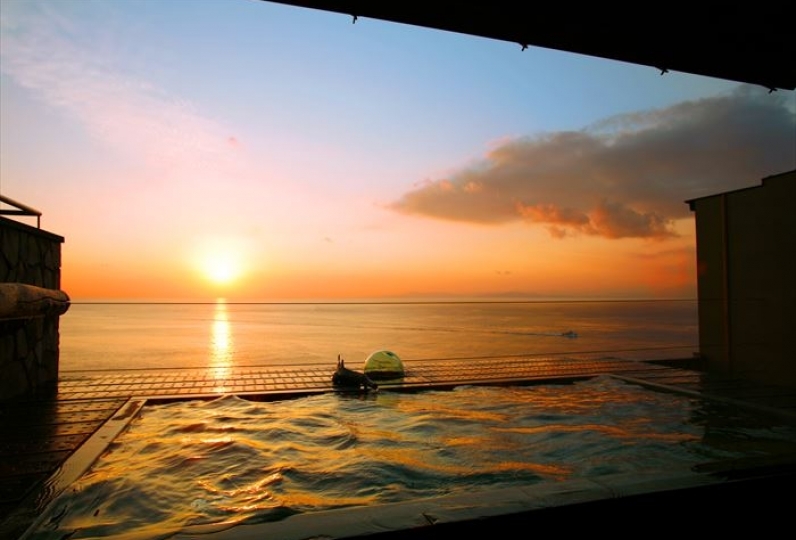 The blue scenery of the ocean that can be seen from the outdoor private spa is breathtaking . Enjoy the fresh seafood of Izu for dinner. Feel free to spend some time with your company in the restaurant that has thought well about the privacy of the customers. A great stay will make your vacation even better. 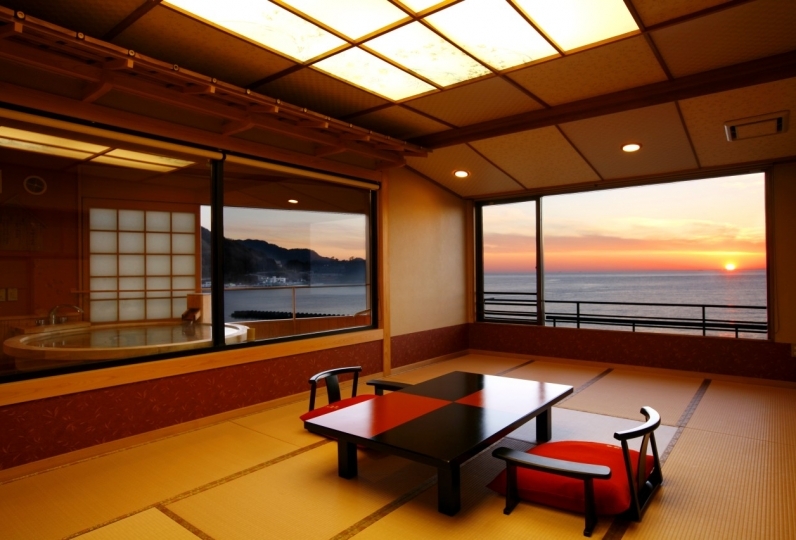 Enjoy some relaxing time in this Japanese Ryokan in West Izu with our sincere hospitality. I used it for her birthday celebration. I thought that I could expect good customer service from the time of meeting, and it was as expected including food and service. The open-air bath with a room was also very pleasant and relaxing. I'm really thankful to you. To tell the details, I was worried about the fact that the water in the washstand came out and it took a while for the shower to turn to hot water, but I was really very satisfied except there. I was thankful for saying that birthday cake surprise was well done and she also said it was a wonderful birthday. I went on my son's graduation trip. It was a wonderful response from the receptionist. When I entered the room there was a surprise and my son was overjoyed. The dinner was a lot of items but the quantity was just right. I also had a drink, but the amount was also good for the drinker. The bath had a rubber tree in the open-air bath and it was a good atmosphere, and it was good to choose the place where the temperature is hot and the usual place. I took a cave bath in the morning. It was a natural sauna first experience. Breakfast included fresh dried fish and was enough. It was a wonderful place to convey the care of our staff. I still use my son at home. Thank you very much! I went to Nishiizu for the first time. Because it was my mother's birthday, I decided to have a good atmosphere, as I wanted my mother to relax slowly. The staff members were very kind and told me everything from sightseeing spots to routes and how to get back. The dinner and breakfast were very large in quantity and all delicious. The bath was also widely used many times. On my way home, I waved my hand until the staff disappeared and my mother was very happy. It was a ryokan that I wanted to go to again. 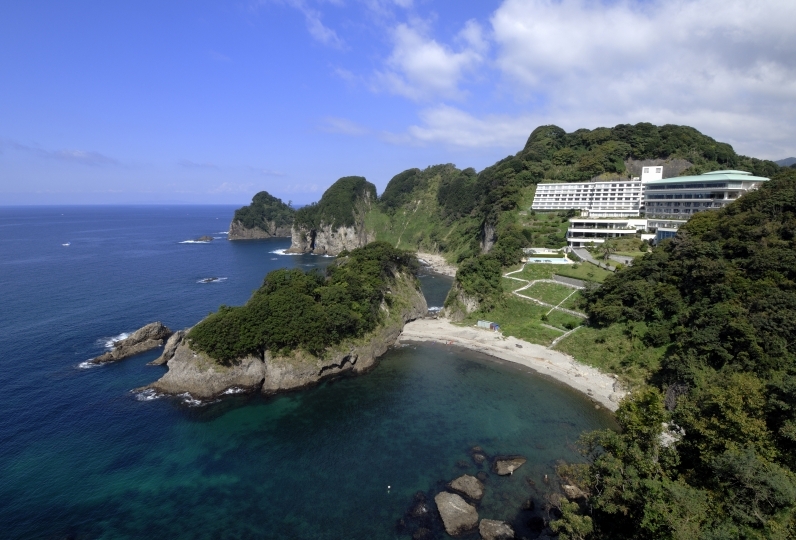 ・Largest Natural Onsen in West Izu - Please enjoy the onsen in the big bathtub where the temperature varies depending on the place your bathing in the bathtub. 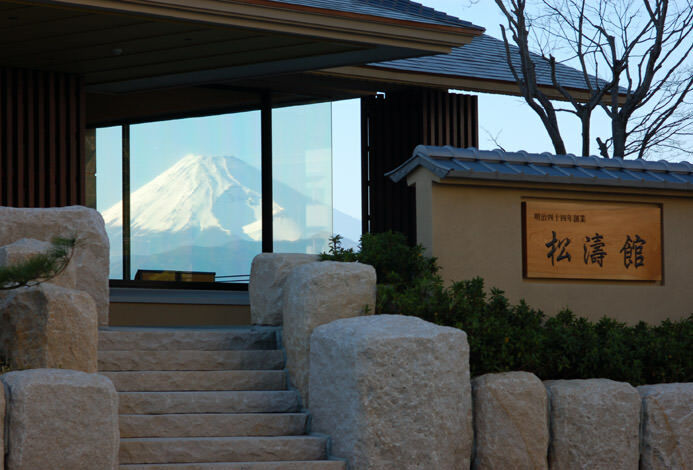 "Ryokan Bokusui" was named after the singer "Bokusui Wakayama" who was lodging at our Ryokan. At the Toi Building, you will be able to take a look at some of his works. We will introduce you to some of his works that are exhibited at the gallery. Some of the furniture that was used by him are also exhibited. There are some little talks by our owner about the history of Bokusui Wakayama as well at the gallery. There are a variety of folk craft and gourmet of West Izu, and a memorial magazine of Bokusui as well at the souvenir shop. We are looking forward to seeing you at our morning market, where we will have a variety of dried sefood. Take a break at the cafe at check in our check out. The restaurant with private rooms is perfect for small groups. Please ask the ryokan for more information. Smoking is prohibited in the guestrooms and the restaurant. If you would like to smoke, please smoke in the smoking area. 5 minute walk from the bus stop.